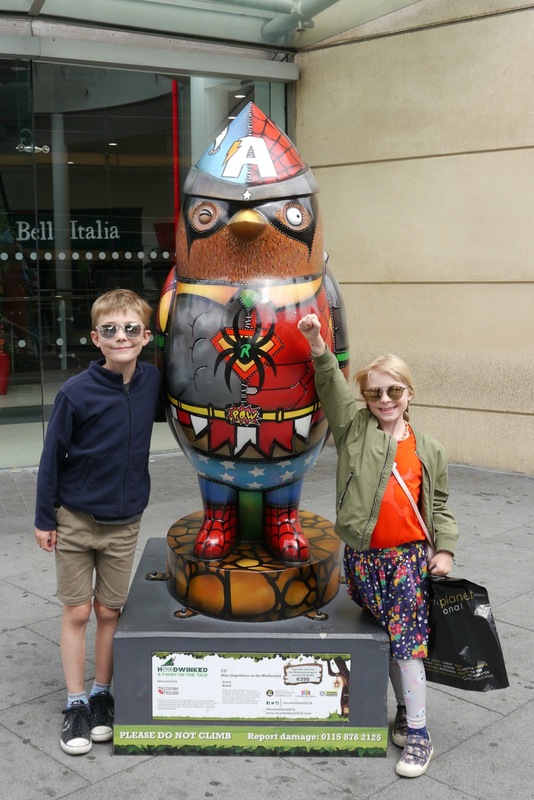 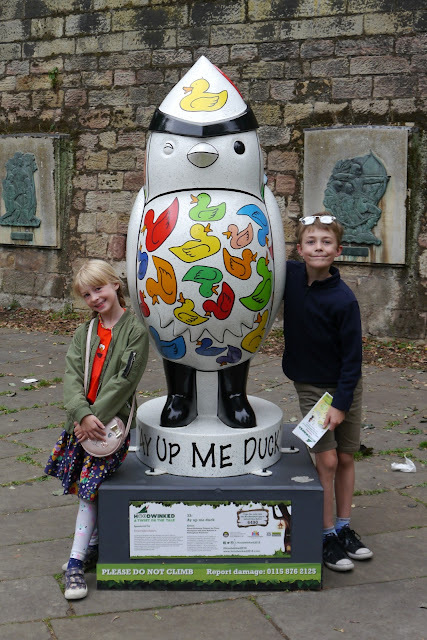 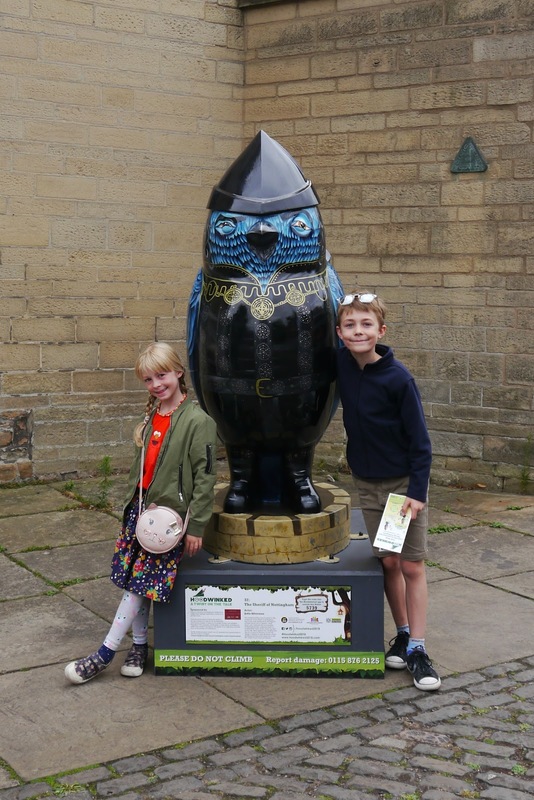 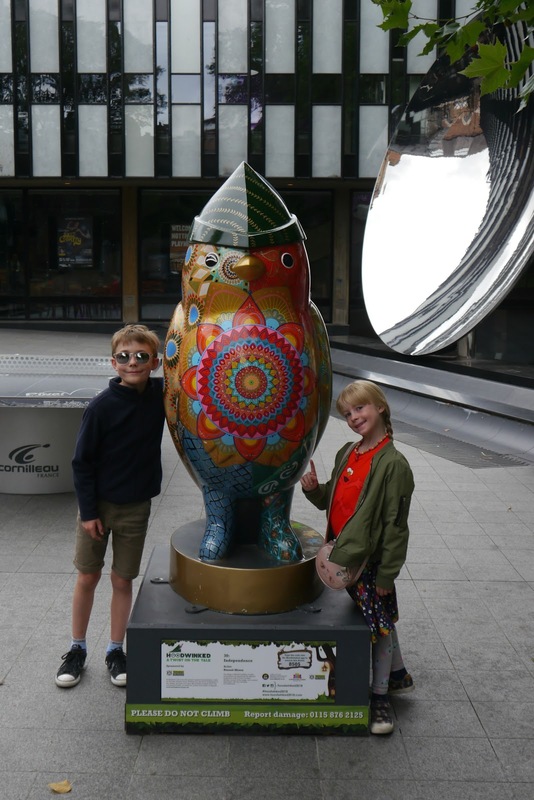 A few years ago we got to see the super Zebra Art in Southampton, this year Nottingham have been lucky enough to have their own wonderful art installations in the form of the Hoodwinked Robins. These quirky, cute and brightly coloured feathered friends have really bought the city to life and I have loved seeing them on my way to and from work and when I pop out at lunch. So I took the kids to see them and we followed the trail around Nottingham, it was great to visit places we don't usually see. 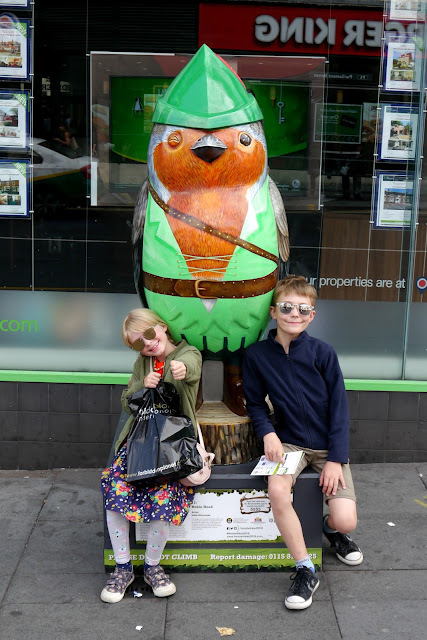 Whether you have a paper map or use the app it is a great way to see the city and the time and effort gone in to designing the Robins is inspiring. 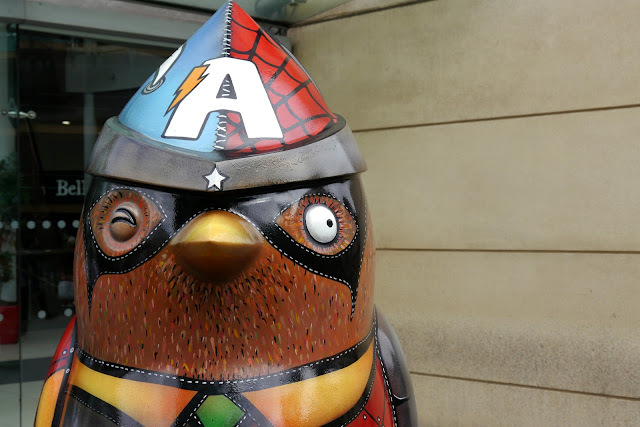 I for one have loved seeing their cute faces on my walks through town. 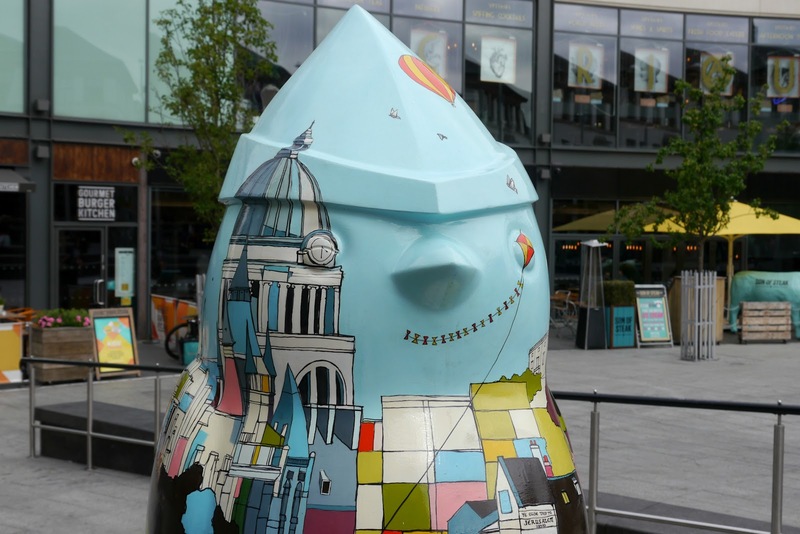 They are in Nottingham until the 30th September and they will then be sold off to raise money for the Nottinghamshire Hospice. 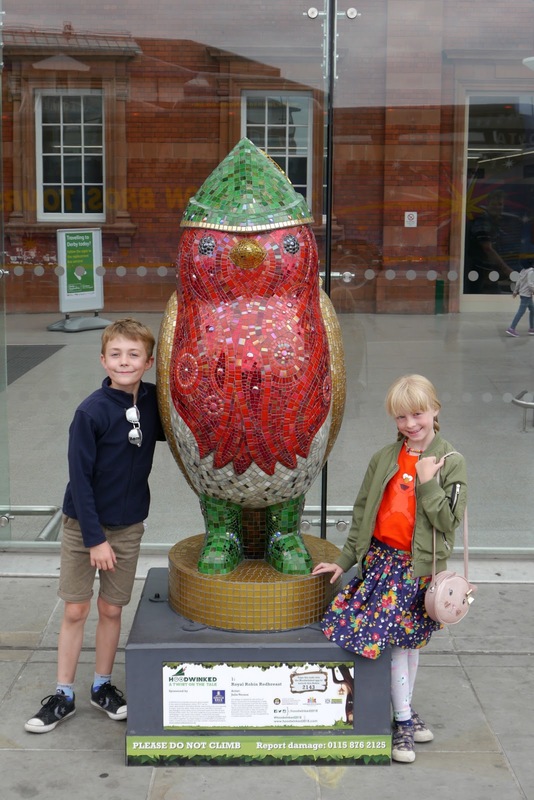 The robins will all come together at Fernleigh House and Gardens, home of Nottinghamshire Hospice, on Friday 12 October until Sunday 14 October where you can visit them all together, there is a charge for this though.